California Band, The Landsharks plays at concerts, conventions, parties, weddings, and all types of events! The Landsharks can play all of your favorite California songs, and also play a huge songlist of all other styles and songs! 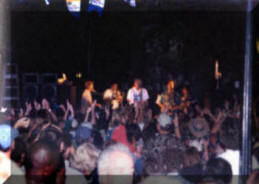 After performing with Landsharks, Jimmy Buffett hired The Landsharks to be the house band at Margaritaville, and The Landsharks became part of beach music history. As one of the most popular beach bands in the world, The Landsharks have an impressive resume, including opening up for, backing up, and playing with Jimmy Buffett, in concert, and opening up for The Beach Boys, in concert. The Band has even played at The Super Bowl, several times! A Landsharks show is fun and interactive, and The Landsharks really know how to get a crowd going! The Landsharks perform a Premier Jimmy Buffett Tribute Concert, and also, a Premier Beach Boys Tribute Concert, and The Landsharks also play a HUGE song list of many other artists, songs, and styles! Hire The Landsharks to play at your Parrothead concert, Jimmy Buffett Tribute concert, or Beach Boys Tribute show! The Landsharks Band is a California Band that plays a huge songlist, as well as playing all of your favorite California songs! The band has played in concert with The Beach Boys, Jimmy Buffett, played at Super Bowl Parties, and much more! The Landsharks have played California concerts, California Festivals, and even at some California Weddings, and are one of the best California Bands. Besides playing all of the best California songs, the band also can play a Beach Boys Tribute Show and a Jimmy Buffett Tribute show, along with some California Surf Music, Some California Beach Music, The Eagles, Jackson Browne, and more. The band plays a WIDE VARIETY of music and also a HUGE SONG LIST. 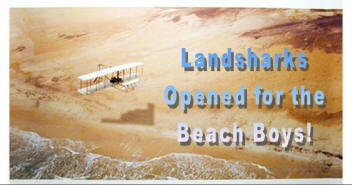 The Landsharks Band is a California Beach band! They have toured all over California, performing at California Beach weddings, California Concerts, California Weddings, and many other California events! The Landsharks have opened for the Beach Boys, in concert and also Jimmy Buffett. They are a California Beach band, a California Convention Band, and a California Wedding band. 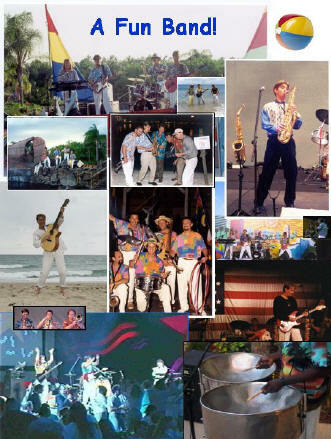 The band has played at Concerts (San Francisco, San Diego, Los Angeles, Coronado) Conventions (San Diego), Festivals (Napa Valley Wine Festivals) Fairs, and weddings in Beverly Hills, Burbank, San Diego, Coronado, Los Angeles, San Francisco, San Hose. and at many other venues. Landsharks Band Opened For The Beach Boys! Landsharks Band is a California Band. Click HERE to Book a California Band. The Landsharks Band opened for Jimmy Buffett! Landsharks Band Plays in Disney! 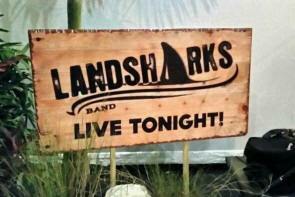 Landsharks Band plays Concerts, Conventions, Festivals, and Weddings! Book A California Band! The Landsharks Band is a California Band. They band plays California concerts, California conventions, California festivals, California fairs, California beach weddings, and California Night Clubs! The band is a California beach band, a California convention band, a California wedding band(They play California winery weddings), a California Jimmy Buffett Band, a California Beach Boys Band, a California night club band, and a California Band. Book A California Beach Band! The Landsharks Band is a California Beach Band. They band plays California Surf Festivals, California Beach Festivals, California surfing festivals, California beach concerts, California beach conventions, California beach festivals, California beach parties, fairs, California beach weddings, and California Night Clubs! The band is a California band, a California convention band, a California wedding band (They play California winery weddings), a California Jimmy Buffett Band, a California Beach Boys Band, a California night club band, and most importantly, a California Band. Hotel Del Coronado, Coronado Island, Dana Point, Ritz Carlton, Big Sur Weddings, Bands Conventions, Weddings, The Landsharks Band plays California. The Landsharks Band plays in Lake Tahoe. They are a Lake Tahoe Band. The Landsharks Band is a California band. They perform at Concerts, Conventions, Festivals , Weddings (including Winery Weddings), Theme Parks, California Night Clubs, California Beach Parties, and almost every other type of event. The L a n d s h a r k s Band is one of the world's most famous California Bands! They are part of California Beach Band History! They have performed throughout the world! 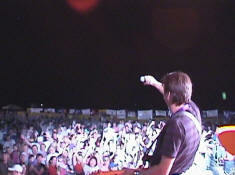 The band has opened up for the Beach Boys, in concert and also opened up for and backed up Jimmy Buffett. The Band is a fun band, and concerts are always filled with audience participation! California Parties, California Concerts, California Beach Weddings, California Weddings, California Conventions, and more! The Band has been performing as a California Band at California Concerts, at California Weddings, at California Beach Bars, at California Beach Festivals, at California Surf Festivals, California Nightclubs, at California Conventions , and at most other California Events! 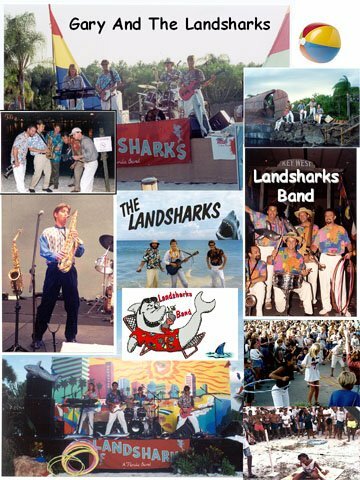 The Landsharks Band is a California Party Band, a California Concert Band, a California Beach Boys Band, California Wedding Band, California Convention Band, A California Nightclub Band, a California Beach Band, A California Jimmy Buffett Band, and more, all rolled into one band! The Landsharks Band is a California Beach Party Band, a California Beach Concert Band, a California Beach Boys Band, a California Beach Wedding Band, a California Beach Convention Band, A California Nightclub Band, a California Beach Band, A California Jimmy Buffett Band, and more, all rolled into one band! The Landsharks Band is a California Beach Wedding Band. They play beach weddings throughout California including California Beach Weddings in Orange County, Monterey, Torrey Pines, California Winery wedding Band, San Francisco, Los Angeles (Los Angeles Convention Bands), San Diego (A San Diego Convention Band)( Four Seasons Aviara Wedding Band) , Malibu ( Malibu Beach Wedding Bands) Wedding , San Hose, Mission Viejo, Carmel, Napa Valley (Napa Wedding bands), Santa Barbara, Oceanside, Ventura, Santa Monica, Santa Cruz, Long Beach, Huntington Beach, Laguna Beach, Dana Point (St. Regis Monarch Beach Hotel Wedding), Napa Winery Wedding Band, San Juan Capistrano, Newport Beach, Pebble Beach, Laguna Niguel, Carlsbad, Sausalito, Berkeley, Coronado, La Jolla, Del Mar, Big Sur, Bodega Bay, San Rafael, Hollywood, Beverly Hills ( A Beverly Hills Wedding Band) , Burbank, San Luis Obispo, Catalina, and many other cities in California. The Landsharks Band is a California Wedding Band. They play weddings throughout California including California Weddings in Orange County, Sacramento, Monterey, San Francisco, Oakland, Los Angeles, San Diego, Malibu ( The Malibu Wedding Band played Bob and Nancy's Malibu Beach Wedding) Wedding , San Hose, Carmel, Napa Valley, Santa Barbara, Oceanside, Ventura, Santa Monica, Santa Cruz, Long Beach, Huntington Beach, Laguna Beach, Dana Point, San Juan Capistrano, Pebble Beach ( Pebble Beach Wedding bands), Carlsbad, Sausalito, Berkeley, Coronado, La Jolla, Del Mar, Big Sur, Bodega Bay, San Rafael, Hollywood, Beverly Hills ( A Beverly Hills Wedding Band) , Burbank, San Luis Obispo, Catalina, and many other cities in California. The Landsharks Band is the ultimate California Band! Book a California Beach Bands! Hire California Beach Band!